Crosswalks are an exciting new concept for OpenMenu. Working in conjunction with Factual and leveraging Factual’s Crosswalk API OpenMenu will begin issuing ID crosswalks between a restaurants OpenMenu and a restaurants listing at other, major, websites. Starting with the Factual ID, OpenMenu will provide developers with even more information about a restaurant by connecting a restaurant across several systems. The Factual Crosswalk API will become an industry standard and OpenMenu has partnered with them to ensure our IDs are properly referenced in their ecosystem. In the simplest of terms crosswalks are connections between two systems based on the ID in each system. OpenMenu built the data by leveraging the Factual Crosswalk API, which provides this service for multiple namespaces, including OpenMenu. This gives developers the confidence that a restaurant in one system (like OpenMenu) is the same restaurant in another system (like Factual). Crosswalks allows developers to use OpenMenu to obtain the IDs for restaurants in other systems thus making it easier for cross-referencing of information. A single entry point of access for information about a restaurant. Crosswalks are now part of the OpenMenu Format as of v1.5 and included in the API. 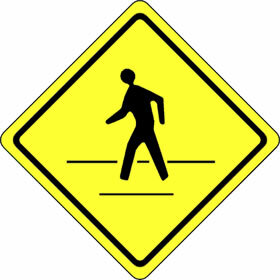 You can read more about Crosswalks at Factual. We want to facebook url through the Crosswalk Factual API. Can you explain what you are looking to do. Not sure I follow.